For much of the year the Northern Territory is drenched in sunshine, yet almost all off-grid communities rely on diesel generators for their electricity. Trucking diesel into off-grid townships isn’t straightforward. Vast distances, unsealed roads and heavy rainfalls during the wet season can make these journeys treacherous, not to mention expensive. With funding from ARENA and the Northern Territory Government, the four-year Solar Energy Transformation Program (SETuP) project is bringing solar energy to 26 remote off-grid communities across the Northern Territory. The roll out of the ambitious $59 million project begins its next phase – dubbed Tranche Two – this week. Tranche Two will deliver 5.6 MW of solar to 17 remote communities from Finke near the South Australian border right up to Arnhem Land and the Tiwi Islands in the Top End. ARENA has provided $31.5 million of the $59 million total cost of the project, which will cut diesel use by 15 per cent, equivalent to 94 million litres over the life of the panels. Tranche Two will include installing a 1MW of solar system on the Tiwi community Wurrumiyanga on Bathurst Island which will ultimately supply electricity to three Tiwi communities – including Wurrumiyanga, Pirlangimpi and Milikapiti – across Bathurst and Melville via a separate interconnection project. The first stage Tranche One, which included an initial 10 off-grid Indigenous communities, was completed in 2017. Late in 2017, Daly River, also known as Nauiyu, became the first Northern Territory community to be powered entirely by solar during daylight hours. 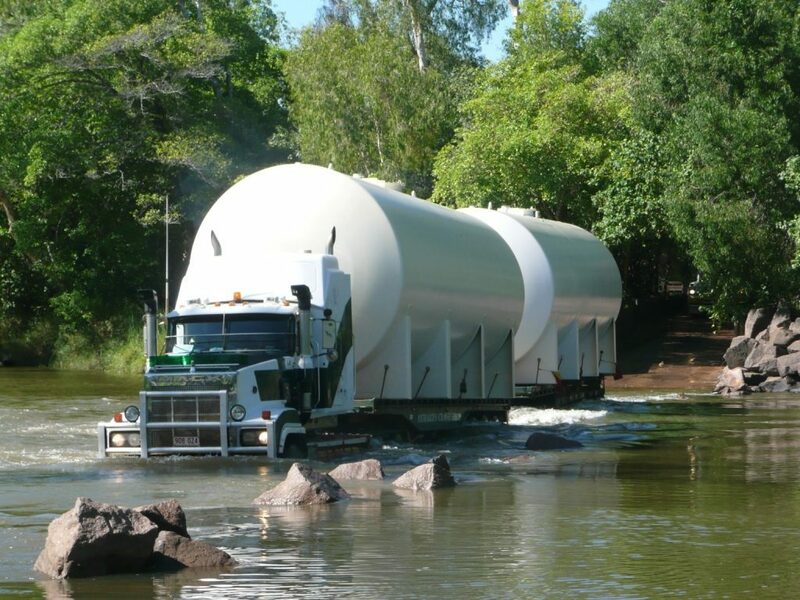 Daly River, with a population of over 400, was intended as a pilot for a high penetration renewable system, with a solar array alongside and a 0.8 MW / 2 MWh lithium-ion battery. After being completed in April, Daly River is now replacing half its diesel consumption with solar and storage. Local elder Mark Casey explained the significance of his township embracing the natural power source. “It’s a part of our Aboriginal culture that it’s the giver of life, we always look to the sun,” he said. “Now the sun will come down, shine on (the panels), power our houses, and take care of the everyday aspects of life. Daly River’s new PV setup has allowed the community to switch off generators during the day, saving 400,000 litres of diesel per year. Until now the potential for renewable energy to power the Top End’s off-grid communities has been untapped. The SETuP program builds a platform for renewables to launch from, growing the local industry and providing an evidence base to inform future rollouts. ARENA CEO Ivor Frischknecht said the agency was proud to support this project which is bringing renewable energy to off-grid locations. “As the largest roll out of solar PV to remote communities, this is a significant achievement that is four years in the making and one that ARENA is extremely proud to be supporting,” Mr Frischknecht said. “The project will reduce reliance on diesel, which is costly and subject to price volatility, creates job opportunities and provides renewable energy. “Each community will be operationally and technically ready to plug in more solar and storage as costs of renewable technologies fall. Over time, this could lead to very high percentage renewable power, driven by the power cost of renewable energy,” he said. Along with SETuP, ARENA has also funded a range of off-grid renewable energy projects helping to reduce remote communities reliance on diesel – including Coober Pedy’s hybrid renewable energy project and microgrids in islands Australia-wide. Power and Water Chief Executive Michael Thomson says the corporation is delighted to partner with ARENA and the Northern Territory Government on this important project. “This demonstrates how delivery of cost effective, renewable energy may be employed to provide reliable power to remote communities, where both energy demand and costs are high,” says Mr Thomson. “Reducing our reliance on diesel fuel in remote locations makes economic and environmental sense,” he said.